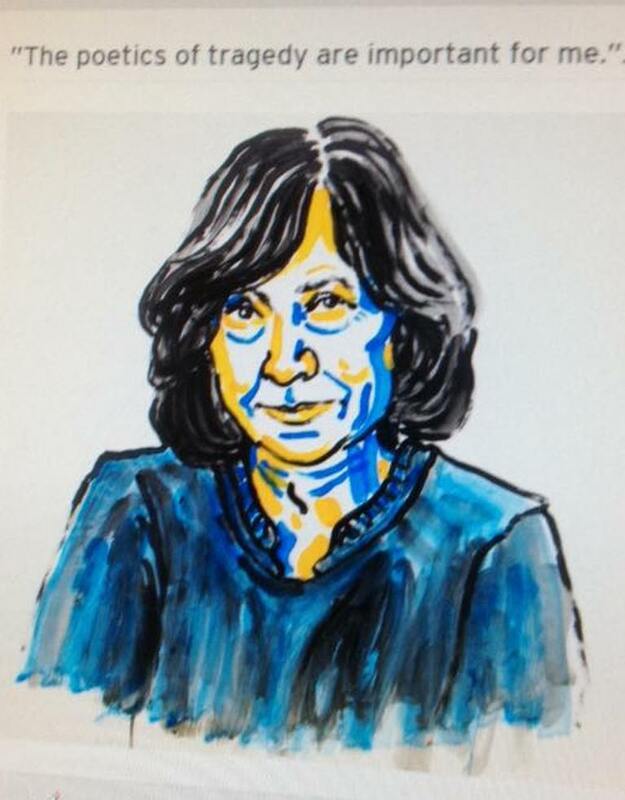 “As I was searching for the way to represent this, I began to understand that what I was hearing people say on the street and in the crowds was much more effectively capturing what was going on than what I was reading in print — and the way that people were trying to convey it using their pen,” Alexievich said. In the modern world, she said, it was impossible to write “the book” that encompassed everything in the manner of 19th century novelists. 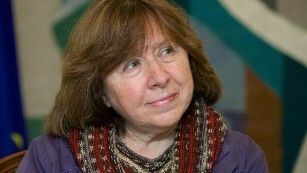 Alexievich’s first book, “I’ve Left My Village,” gave her a reputation as a dissident. When she completed “The Unwomanly Face of the War,” in 1983, she was accused of the “de-glorification of the heroic Soviet woman.” The work was not published until 1985, when Mikhail Gorbachev came to power. Alexievich’s views and independence have made her unpopular with authorities in Belarus, as well, where she belongs to the opposition, her website says. “Her books add up to a literary chronicle of the emotional history of the Soviet and post-Soviet person,” the site says. In contrast to other years, when the winner has been a surprise, Alexievich was one of the favorites this year. Other favorites had included Japanese novelist Haruki Murakami, Kenyan novelist Ngugi Wa Thiong’o, Norwegian novelist and playwright Jon Fosse and American writers Joyce Carol Oates and Philip Roth. The oldest winner was Doris Lessing, who was 88 when she won the prize in 2007. The youngest was Rudyard Kipling, best known for “The Jungle Book,” who won at age 42.